Today’s intelligent world requires more from businesses then they have ever had to deliver. Prioritizing and implementing analytics doesn’t cut it anymore – organizations have to step out of their comfort zones and think differently about their outcomes. To succeed in the business landscape of today and tomorrow, companies need access to data, innovation and actionable insights that can help create the business models they desire. Ronald Van Loon partnered with MicroStrategy and contributed to their list of the top 10 Enterprise Analytics Trend to Watch in 2019. 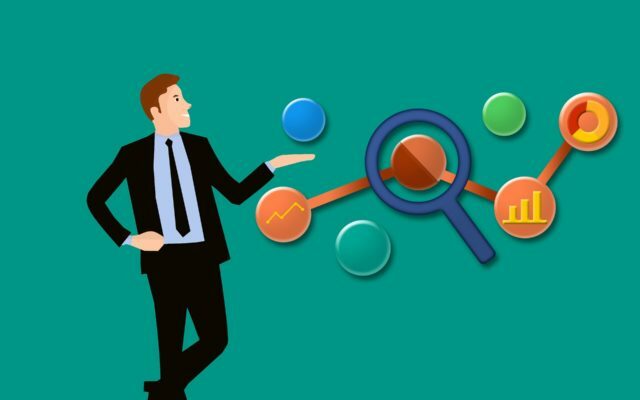 After having the privilege to review the final document, I would like to share tidbits of what the biggest influencers in this field expect from Analytics in 2019. Businesses expect their insights to now deliver on the hype and help them transition their objectives to outcomes. A high percentage of organizations have an AI strategy today, and analytics sit at the centre of it all. With focus moving towards business outcomes, Forrester predicts that 2019 will deliver the much-needed shift here. Organizations and business leaders will now start focusing on business outcomes as a measure of Analytics success. Everyone in the world of analytics now knows that machine learning and AI are revolutionizing the way we live our lives and run our businesses. Within business organizations, AI’s key role is assisting business leaders with the decision-making process. However, with numerous complexities involved in leveraging AI to its full potential, there is a real risk that an organization’s AI technology might just end up as a complex black box sitting on a shelf for only the experts to understand. This risk will result in an emphasis on Explainable AI and Augmented Analytics to bridge the gap between what AI can deliver and the technological complexity a decision maker can handle. Augmented Analytics will further advance outcomes by delivering unbiased decisions that are a replication of what is best for the business. There is an imperative need for organizations to step up to the challenge of empowering employees with the same technology experiences they enjoy as consumers. This will be accomplished through giving all employees the information they want, at the right time, through the tools and devices of their choice, and making it as easy as hovering over a link in an email, business app, or website. 2019 will see the introduction of a Netflix-like platform in organizations where business leaders can sift through thousands of data pools and find information that is specifically curated for their use. This will enhance the reliability of analytics and of the data that you’re feeding your systems. Success in the digital economy can be achieved by incorporating intelligence within all daily business functions and applications. As the complexity and volume of data increases, businesses need to up their game and provide knowledge workers with the right amount of data through the right channels. Analytics presents a promise similar to that of the Industrial Revolution of the 18th century. All that is needed now is a slight change in the way we work and embed intelligence within our work processes. Extensive collaboration between data analysts, data scientists, data developers, business leaders, and data engineers. The incorporation of ML and DL models into business applications. There is a reason why almost 52 per cent of organizations are using, or plan to use collaboration within their team together with Analytics. Collaborative decision-making means making decisions based on insights and action from the whole team. This process will see the introduction of a new form of management where business leaders see tasks through to completion and then make detailed judgments based on what they see. Mobile devices have become an important part of both our personal and professional lives. It is expected that by 2020 smartphone users will be accountable for over 66 per cent of connections to the internet. This number is up from 53 per cent in 2017. These mobile devices have also meant that employees and salespersons can now access data on the go. Over 96 per cent of organizations have mentioned that mobile technology helped to increase the access to and the use of analytics present on the cloud. The best interest of organizations now lies in identifying these benefits and incorporating pervasive mobility while going forward. The world is fully geared up for the AI revolution, as the technology is fully ready to transform industries across B2B and B2C sectors including legal, healthcare, manufacturing, retail and automotive. The question now isn’t how AI will transform the industry, but rather when this change would happen. To see a world of intelligence in full, businesses need to have a concrete strategy prepared. In that regard, 2019 will see organizations develop AI strategies that speak volumes of their passage to glory in the field. Transparent Systems: You should know how the system makes its decisions. Explainable: The AI strategy that your business follows should be explainable. Reversible: You shouldn’t be stuck with your analysis, as you should be consistently learning new things and adapting accordingly. Trainable: The system should be trainable for the future. Human-Led: Perhaps the most important part; the system will be led by humans. Increase in the overall speed towards AI, ML, and DL through the above-mentioned means.